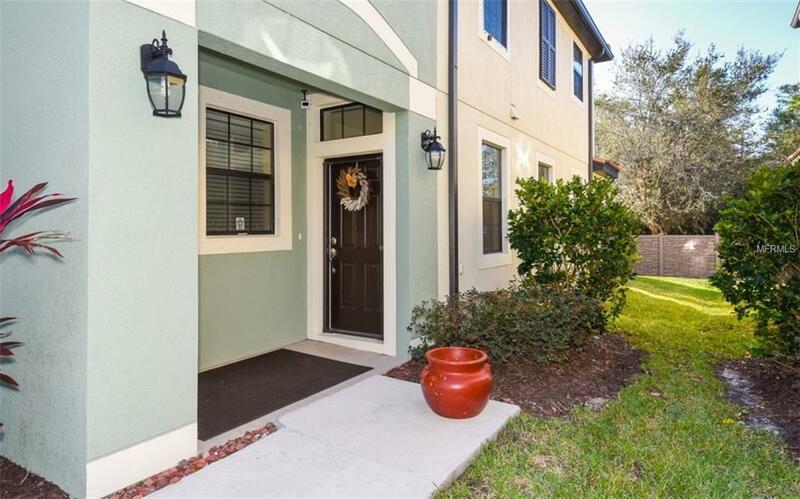 When location is key, this wonderful well-upgraded maintenance free condo is right for you! 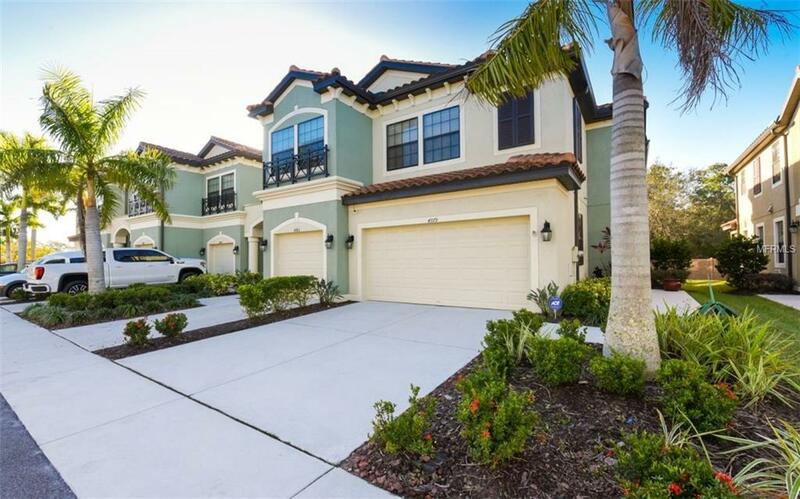 Muirfield is a gated community, just off N. Honore Ave. and only .4 miles to the Whole Foods Mall on University Parkway, 1 mile to Benderson Park & The University Town Center and 7 miles to downtown Sarasota! Impeccably maintained with over 2200 square feet of interior living space plus a coveted 2-car garage; this end unit home shows beautifully. 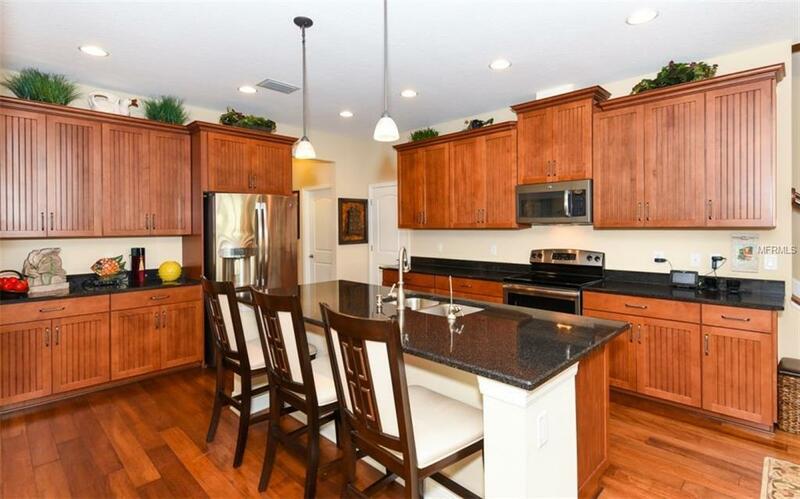 Highly upgraded including gorgeous wood floors and stairs, 42 tall wood kitchen cabinets with crown, granite tops, a nice sized center island with a one-level granite top, walk-in closets and a desirable open floor plan. Quality built by M/I Homes, there are 3-bedrooms, 2.5 baths plus a second living room upstairs, perfect for relaxing evenings or a busy home office. The spacious master bedroom is 14x21 with its own bath, large walk-in closet, dual sinks, tiled shower and granite tops. Enjoy the peaceful rear setting with an open patio that can be extended and screened if desired. For the busy executive family, enjoy a lock and leave lifestyle having exterior maintenance included and pay no CDD fee that is prevalent in so many communities. 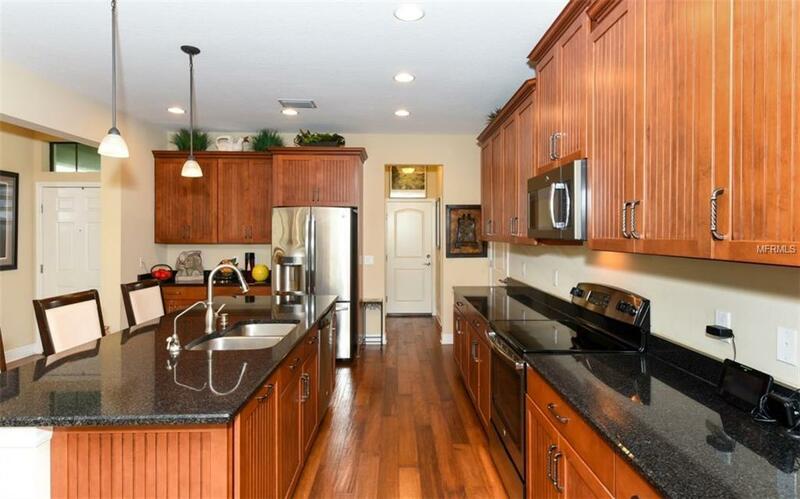 For your peace of mind this home offers an expanded ADT system with security cameras. Have a dog? Muirfield is pet friendly and being an end unit you have access to more yard. Come and see 4979 Oarsman Courtfor convenient, stylish and carefree living.